Please click the Follow Paylor Studio’s Blog Button so you don’t miss out on all of the FREEBIES available. Check out the list of designer’s below and click on their names. You will be directed to each designers Blog or Facebook page. Click on their Blog Train FREEBIE you will be linked to the store at the MyMemories site. If you have not already done so, you will need to sign up for an account [note: this is a one time sign up and no purchase is necessary]. Here is the line up for November Designer Freebies! Join us in the Forum for FUN Monthly Challenges and FREE Exclusive gifts. Thanks for your share of the BT this month! Thank-You for the boo-tiful kit. New Year! New Site! More Fun! My Memories Software Giveaway. Contest held every 3 months. Every Month My Memories Designers have FREE Goodies for you. 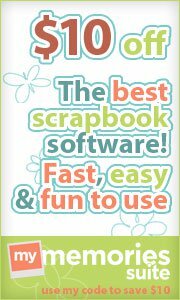 Hop on board to get Free Digital Scrapbook kits.